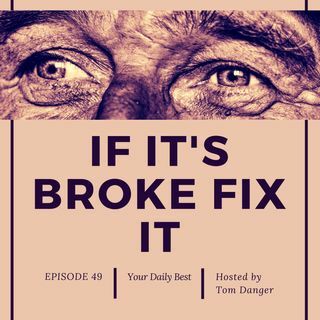 In this episode "If it's broke fix it" we discuss steps to help address personal issues. Although the story is based on Caregiver burnout, it provides a framework to help fix some challenges you may face. 1. Identify what the problem is. 2. Admit the the problem exists. 3. State what you want to change. 4. Surround yourself with people who can help make the change happen. 5. Take small steps daily to work on it. 6. Repeat steps one through five until you see results.